Richard Barley is the newly appointed Director of Horticulture at the Kew Royal Botanic Gardens, London. With a particular interest in trees, landscape design and management, he was the CEO of Open Gardens Australia, overseeing the opening for public visitation of around 600 gardens per year across Australia, together with other garden-themed events. Richard is also the past Director of the historic Royal Botanic Gardens Melbourne, where he oversaw the development of significant plant collections and conservation programs, leading-edge water management, renovation of historic features and the delivery of outstanding education activities. He has participated in national and international conferences on garden themes, and judged landscape exhibits at garden shows. He played a key role in the development of the botanic garden network in Victoria, and continues to be a strong advocate for the community benefits of gardens and gardening. 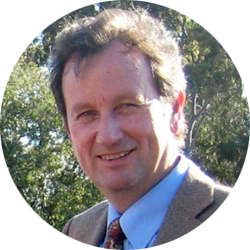 Richard contributes occasional lectures on plant and garden topics at the Burnley College of University of Melbourne and to various community groups around the country. Richard holds a Degree in Horticulture and was awarded a Winston Churchill Fellowship in 1999 for the study of landscape management. In 2013 he was awarded ‘Person of the Year’ by the Toronto Garden Tourism Council for International Garden Tourism. Convenor of the Scientific and Collections Committee of the Garden Plant Conservation Assoc. of Australia, Inc.
Committee member (and past Convenor), Botanic Gardens Australia & New Zealand (BGANZ) Victoria.